This is one of my signature recipes, which has landed me a cooking class at Williams Sonoma, and fooled an Italian into believing this was a traditional marscapone cake. Prepare to be amazed. Now you know, if it’s my recipe, this is no ordinary cheesecake. 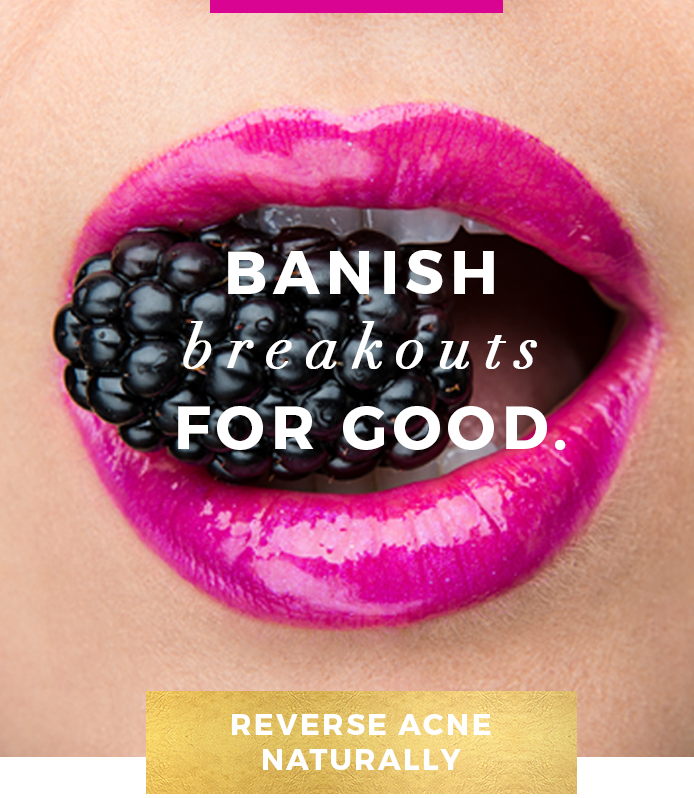 This is the healthiest version possible so you can enjoy guilt-free. What I also love about it, is that it has what I like to call “built-in portion control”. In other words, you’ll feel full and satisfied with a small slice, and won’t feel the urge to eat the entire cake in one sitting. I’ve been saving this recipe for a while, but I thought now, at the beginning of the year when most people are making diet resolutions, that this would be perfect. Why? To underscore that healthy eating and losing weight does NOT have to mean deprivation or boring tasteless food. When you restrict yourself too heavily, you eventually end up throwing in the towel and going right back to old habits. Instead, take baby steps. Be gentle with yourself. And if you want cake once in a while, have some, just make sure it’s the healthiest version possible. 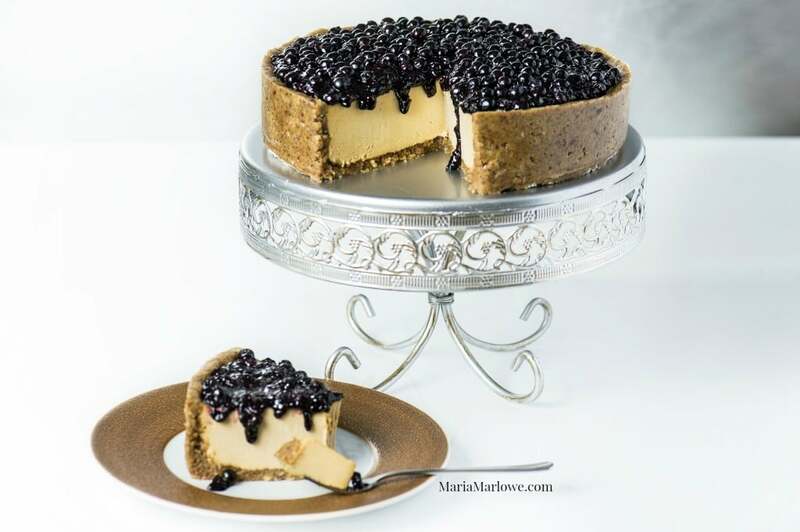 This cheesecake recipe is creamy and delicious and decadent, yet approximately a million times healthier than regular cheesecake (or any cake for that matter). For starters, it replaces all dairy with cashews. There is not a drop of cream or cheese in this cake, but you would never guess. The nuts give you a similar mouthfeel with added nutritional benefits: healthy fats and minerals that support cardiovascular and bone health And, contrary to popular belief, raw nuts actually reduce risk of weight gain, and even aid in weight loss. 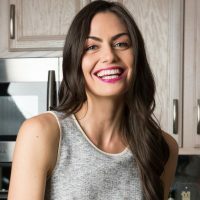 On the other hand, dairy is associated with inflammation in the body, and most people lack the enzyme needed to digest it properly, which spells digestive and skin issues). In place of mountains of refined sugar, this cake uses a reasonable amount of coconut sugar, one of the healthiest natural sweeteners, because it’s low glycemic, meaning it won’t spike your blood sugar the way regular sugar does. When your blood sugar goes on a roller coaster of ups and downs, the inevitable result is weight gain and irritability. 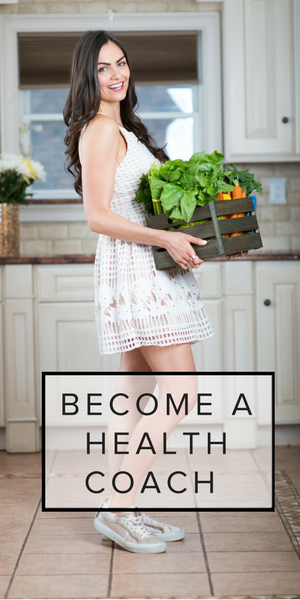 One of the best ways to keep weight in check is regulating your blood sugar, and keeping it evenly keeled. So, if you’re going to have dessert, the best choices are ones that are low glycemic. And therefore, it’s important not to substitute the coconut nectar with any other sweetener, as not only does it keep the dessert as healthy as possible, but it also adds to the creamy texture and delicious taste. You can find liquid coconut nectar in Whole Foods and most health food stores. It drives me mad when people poo poo healthy eating because they think it’s too restrictive or that they will feel deprived. That is absolutely not the case. It’s just a matter of making the healthiest versions of the tastes and flavors you love. And with a little creative thinking you can turn cashew nuts into cheesecake. 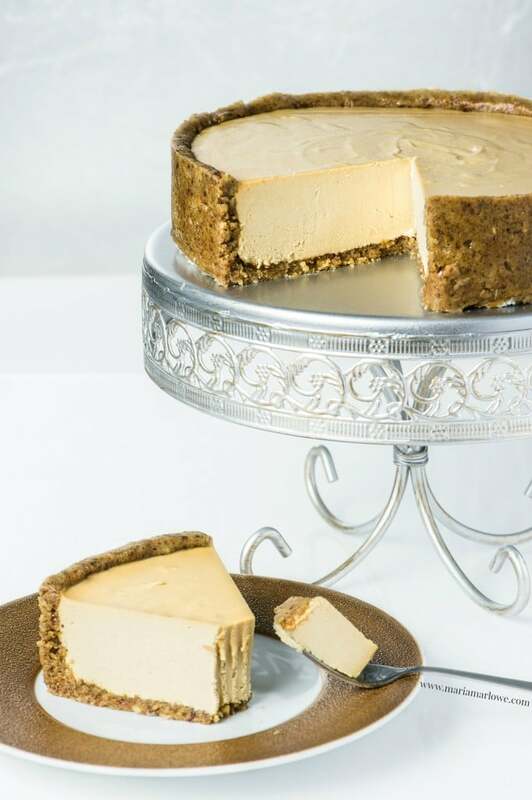 So without further ado, I present my raw vegan cheesecake recipe. If you make it, please let me know how you like it by leaving a comment below! Note: All photography done by Irina Smirnova and styled by me. 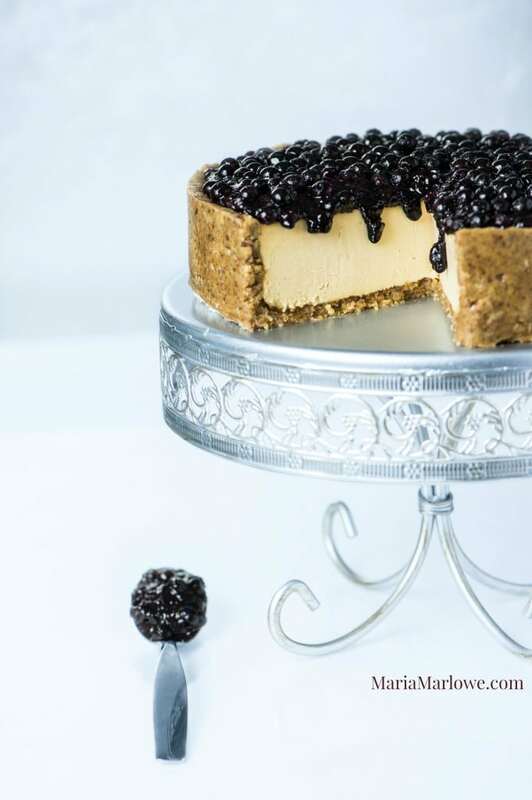 A rich and decadent raw vegan cheesecake with blueberry topping. 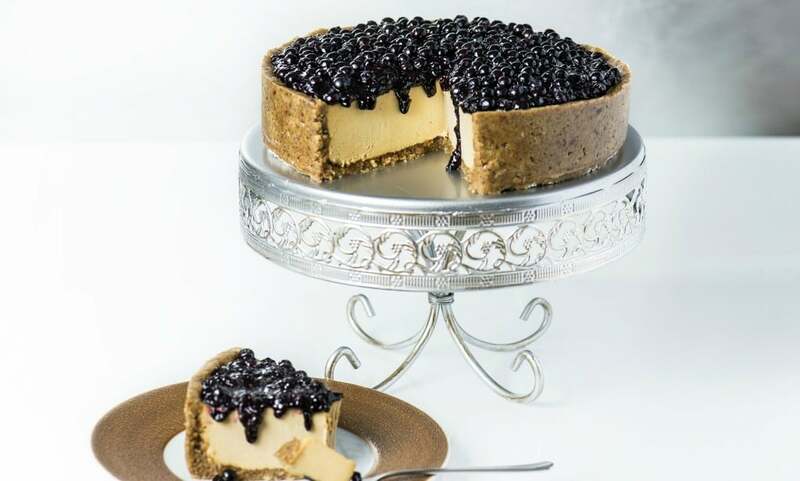 No bake cake blueberry cheesecake recipe. For the crust, whiz walnuts in high-speed blender until they make a powder, than add dates and salt and process again until combined. The mixture should stay together when squeezed in your hand. 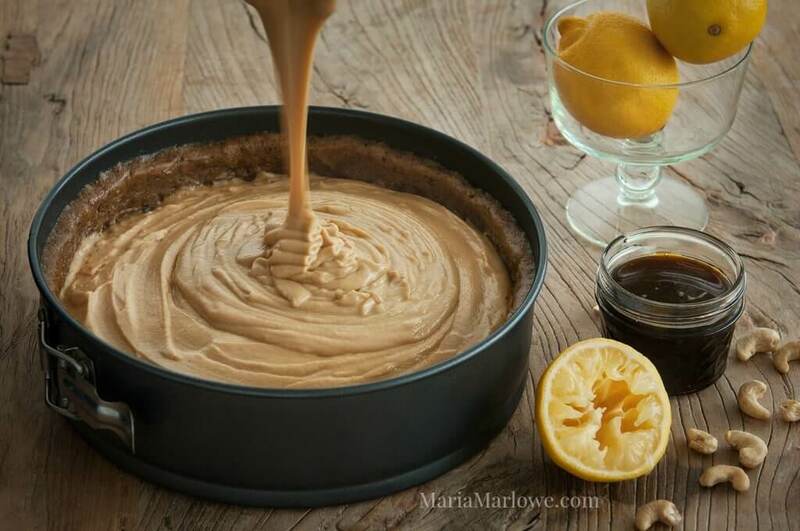 Line the bottom of a 5-or 6-inch cheesecake pan with shredded coconut, then use your fingers to press in walnut mixture into the bottom of pan and up the sides of the pan for the crust. Both should be about 1 cm thick. For the filling, drain cashews, and then throw all ingredients into a blender and process on high for about 2 minutes, until completely smooth. If well soaked, you likely won’t need additional water, but if your blender isn’t powerful enough, add as little water as necessary to blend and create creamy texture. Pour mixture on top of crust. Place in freezer for at least 1-2 hours, to firm up before serving. If you leave it in the freezer longer, you will need to thaw before serving. Will last in refrigerator for up to 3 days, and in the freezer, about 5 days. In a saucepan over medium heat, combine the blueberries, water, coconut sugar and lemon juice. Stir frequently, and bring to a low boil. Next, slowly stir the chia seeds into the blueberries. The berries will break down and form a slightly gel like consistency. Simmer until the jam is thick enough to coat the back of a metal spoon, about 10-12 minutes. Remove from heat and gently stir in vanilla. The jam will last in an airtight container in the fridge for about a week. Spoon over the cake when ready to serve. To get the same texture as the photo, spoon additional frozen berries on top of the jam and gently press in, to cover the entire cake surface. It looks long, but this recipe is incredibly easy and fast to make. It is fantastic even without the blueberry topping. Great for special events and dinner parties. Your guests will think you spent lots of time in the kitchen. 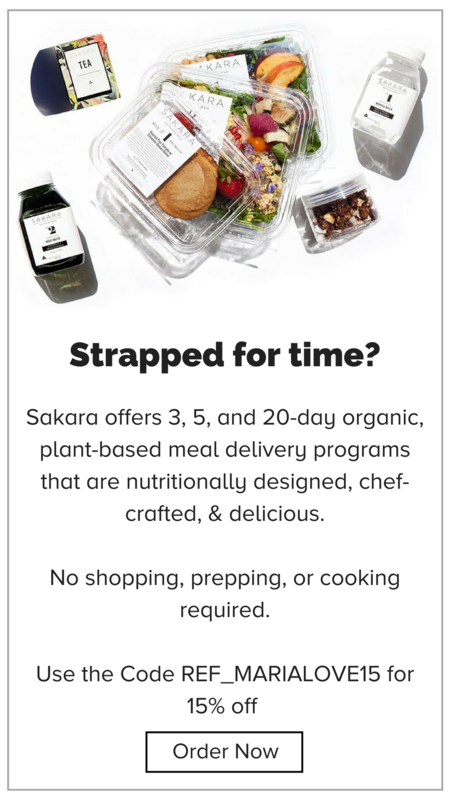 This is SO EXCITING… I am ordering some new ingredients online to make it for my mom’s birthday in less than 2 weeks! I just made this Blueberry Cheesecake and my mind is blown. I’ve never tried cashews as a cream/cheese substitution – it was difficult for me not to eat all of the filling before I froze it. It was surprisingly easy. This is absolutely delicious – will remain one of my go-to recipes from now on. I’m thinking about trying it in mini ramekins for individual cakes. Great job – and the food photography and styling is beautiful. I’ve already pinned this and had multiple re-pins. Keep’em comin’! Love what you’re doing, lady!